"Grace. It's what we crave most when our guilt isexposed. It's the very thing we are hesitant to extend when we are confrontedwith the guilt of others-especially when their guilt has robbed us of somethingwe consider valuable. Therein is the struggle, thestruggle for grace. It's this struggle that makes grace more story thandoctrine. It's the struggle that reminds us that grace is bigger thancompassion or forgiveness. That struggle is the context for both. When we areon the receiving end, grace is refreshing. When it is required of us, it isoften disturbing. But when correctly applied, it seems to solve just abouteverything. This struggle is not new; it has been going on since the beginning." We find in the pages of Scripturethat the stories found there often mirror our own stories, and that we too need the very thing we donot deserve: the grace of God. 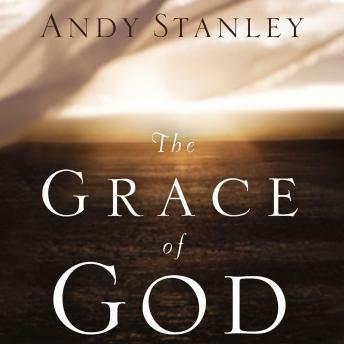 From the beginning, thechurch has had an uneasy relationship with grace. The gravitational pull isalways toward graceless religion. The odd thing is that when you read the NewTestament, the only thing Jesus stood against consistently was gracelessreligion. The only group he attacked relentlessly was graceless religiousleaders. Even now as you think about grace, there might be a littlevoice in your head whispering, "It can'tbe that easy!" It'sthis tension that makes grace so slippery. But that's the beauty and the truthof grace. We don't deserve it. We can't earn it. It can't be qualified. But Godgives it to us anyway because he loves us unconditionally. The story of grace is your story. And as you are about todiscover grace plays a larger role than you imagine.